180: How to get rid of your Sunday Blues. It’s 3 pm on Sunday afternoon and the blues start creeping in. You feel sad “It’s Monday tomorrow boooo”. But wait, you’re missing out on so much weekend time because you’re so busy thinking about Monday morning! Listen to this Get Merry podcast episode and get rid of your Sunday blues. Sunday Blues is an actual thing! 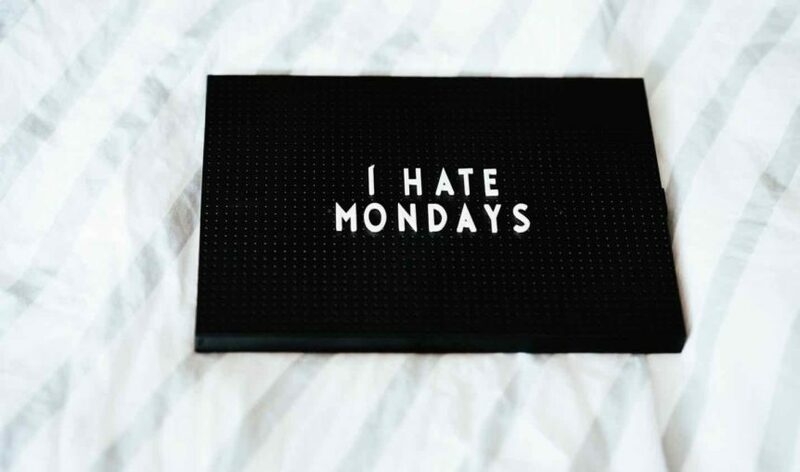 Also, so is Mondayitis. On News.com they said a global survey found that 75% of people suffer from it! Yes, we realise this stat is missing some serious info BUT STILL, it’s a thing! Do you find yourself wishing your weeks away? How often do you wish it was Friday? Is it stress causing this or is it that you hate your work? Don’t make Mondays busy, no meetings. ENJOY your weekends, make the most of them! Fill them up with stuff you actually love. Make sure you make time for relaxation too! Think Yoga, walking, nature, reading (not for work). Be social. Yes… you need to allocate time for friends. Don’t fill your weekends with errands. Can you minimise your errands, what can be done online? Make your Sunday nights cruisy but fun. Don’t just do nothing and focus on the fact that it is Monday tomorrow. Be aware of your language and mindset at work. Are you whinging about work because your co-workers are? Quit your job and follow your bliss! HAHA you know we will talk about this. This episode is brought to you by the Bean Ninjas! The online bookkeeping service we use. Keep an eye out because they have some epic online courses coming out too!